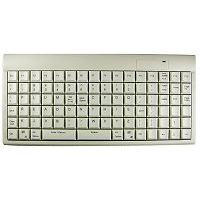 The PLUM keyboard is ideal for first time casual computer users. The letters are arranged into easy words and sequences for fast recall. The most frequently used letters are on the home row (READ ON THIS). This means that 74% of letter frequency is on the home row (compared to QWERTY's 30%). PLUM and WXYZ are also memorable. Now you can easily remember where the keys are without looking under your fingers which dramatically saves learning time. Therefore, you can master the PLUM keyboard faster and easier.